February 26, 2019: LAST UPDATED. 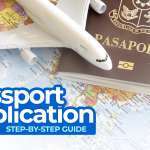 This post contains tips and other information about applying for a DSWD TRAVEL CLEARANCE including the list of REQUIREMENTS and the step-by-step application process. 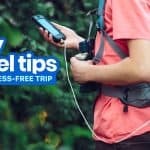 This applies to Filipino travelers only. A minor is defined as being below 18 years of age. It’s always fun traveling with kids. Seeing the look on their faces when they experience something for the first time is always priceless. I had traveled with kids in the family twice: First, to Hong Kong for their much awaited Disneyland visit, and second, to Tokyo, to visit a close relative. The problem is, I am not their father, just an uncle, so I had to secure a travel clearance for them. Traveling with minors who aren’t your children adds a step in the whole trip preparation. You will need a get a DSWD Travel Clearance before your trip. Failing to secure one will lead to being offloaded by the Immigration Officials at the airport. It is a necessary document that they need to protect children from crimes including child trafficking. WHO NEEDS A DSWD CLEARANCE? Written Consent or Affidavit of Consent? 2. Find the nearest DSWD Field Office. 3. Submit the requirements at the DSWD Field Office and wait for your clearance. Is it possible to apply for a DSWD Clearance online? When should I apply for a DSWD Clearance? 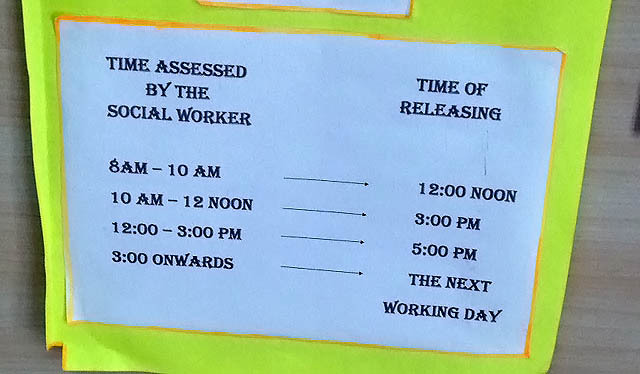 How long does it take to get a DSWD Clearance? Does the minor have to be with me when I apply? Should the parent be the one to apply? I found an error in the Travel Clearance. What should I do? How much should I pay for the DSWD Clearance? 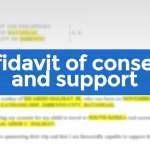 Do you have a sample Affidavit of Consent? Where can I find more info about DSWD Travel Clearance? If the minor is traveling with either parent, no need for one. If the minor is traveling with the legal guardian, no need for one (but you must have all documents to prove that you are indeed the legal guardian). If you’re not the mother or father or legal guardian, you need a DSWD clearance for each minor you’re traveling with. If that’s not clear enough: Even if you are a brother, sister, aunt, uncle, grandmother, grandfather, or cousin of the minor, you need a clearance. As of January 2014, this is what a DSWD Clearance looks like. Below is a list of documents required to secure a DSWD Travel Clearance. This covers minors traveling with someone who isn’t their parent or legal guardian. 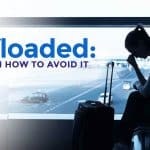 If the minor will be traveling alone, there is a separate list for that with additional requirements such as Unaccompanied Minor Certificate from the Airlines and Waiver from parents. There have been a lot of changes to the requirements. 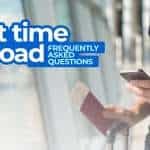 Now, there is a separate list of documents for those who are traveling for the first time and those who have traveled before with the non-parent companion. These are the requirements for minors traveling for the FIRST TIME with a companion who is NOT their parent. A duly accomplished application form. You can download it here. 2 colored passport size photos of the minor taken within the past 6 months. Scanned photos are NOT accepted. A photocopy of the passport of minor’s travel companion. Notarized Affidavit of Support and Consent to Travel. Download a copy here. 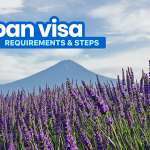 – If minor is an immigrant, visa petition approval. Authorization Letter from Parents/Legal Guardian. Only if the person applying is not a parent or legal guardian of the minor. Download sample here. These are the requirements for minors who have already traveled before with a companion who is not their parent. Original copy of previous DSWD travel clearances. Notarized Affidavit of Consent to Travel. Download a copy here. I have applied for my nephew and niece multiple times now, and the requirements somewhat change each time. It’s a bit frustrating, to be honest, because I couldn’t predict what other documents they would need from me. DSWD may require additional documents aside from those listed above, so make sure you apply early and NOT too close to the travel dates so you have time to secure them. Here are some other requirements that they might look for based on experience of some of our readers. Roundtrip ticket of the minor and companion. In my experience, sometimes they ask for it; sometimes, they don’t. If you’re already booked, best to bring a copy of the ticket. If your flights are not yet booked, it’s best to just call the office before your application to confirm. Notarized Affidavit of Support of sponsor (showing employment status and salary). Some sources say this is a requirement, and one of our readers was also asked to provide this. The official DSWD website’s FAQ page lists this as a requirement only for unaccompanied minors. But it’s hard to trust the website because it’s messy as eff. In my experience, however, I was never asked to submit this. Maybe it’s a new requirement, maybe they ask applicants depending on the situation. Call the office where you plan to submit to be 100% sure. Notarized Affidavit of Undertaking. One of our readers said they were asked to provide this. I’ve never been asked to submit this ever, though. Latest ITR (income Tax return) or Certificate of Employment of sponsor and/or parents. I also always bring a copy of this, but they never asked to see it. Just bring it with you to be on the safe side. Invitation Letter, only if the purpose of travel is to visit a friend or relative, or the minor won’t be staying in a hotel. Copy of parents’ passports. Only if the parents are based abroad. A notarized Affidavit of Consent is now a requirement. In my previous applications, I was never asked to submit an Affidavit of Consent. I would usually just present a simple non-notarized written consent signed by both parents and they accepted it. However, in my most recent application, they asked for a notarized Affidavit of Consent for the first time. So to be on the safe side, I strongly recommend that you secure a Notarized Affidavit of Consent to Travel for a couple of reasons. First, because a notarized affidavit can take the place of the simple written consent. Meaning, if DSWD asks for a simple consent letter, they will accept the affidavit because it’s a more binding legal document. On the other hand, if they require an affidavit and you don’t have it, the written consent may not suffice. It’s safer to have the affidavit. The second reason: because you might also need it when passing through Immigration. Normally, the DSWD Clearance is enough to let you through, but having that affidavit can be more convincing, if the officer has doubts. The affidavit I submitted had the following details. Don’t forget to have it signed by the parents. You can find a sample here: SAMPLE AFFIDAVIT OF CONSENT. Getting a DSWD clearance is easy. It might take a few hours, but it is not as complicated as you probably have been picturing in your head. Here’s how I got mine. See the list of requirements above. Pay a visit to the DSWD Field Office that covers the permanent address of the minor. For example, my niece and nephew reside in Batangas. The Region IV-A (Calabarzon) Office is in Alabang. If the minor is based in Metro Manila, file for a clearance at the NCR Office in Sampaloc, Manila. Below is the complete list of DSWD Field Offices. You must apply at the DSWD Field Office that has jurisdiction over the minor. If the minor lives in Region IV, apply in Alabang. If the minor resides in Metro Manila, apply in Sampaloc, Manila. They started implementing this policy in January 2018. Prior to this, applicants could apply at any field office, even if the minor doesn’t reside in their region. But that’s not the case anymore. You must apply at the designated DSWD Field Office now. Here’s the step-by-step process that you will go through once you are at the DSWD office. The process below details my experience applying at the Alabang office, but according to the DSWD website, the process at all branches are almost the same. Tell the Security Guard that you’re there for Travel Clearance. Ask for a Sequence Number. Register in the logbook while waiting for your number to be called. When your number is called, submit all the requirements to the Social Worker for the initial screening. He/she will check if the requirements are complete and authentic. If all your documents are okay, the Social Worker will interview you and assess the application. He/she will ask a few questions about your relationship with the minor, the purpose of the trip, and why the parents can’t be with the minor, among others. If the Social Worker is satisfied, your application will now be processed and the clearance will be prepared. Don’t forget to check the clearance card before you leave the DSWD Office. Make sure the validity of the clearance and the name spellings are correct. Reminder: After assessment, DSWD may require additional documents aside from those listed above, so make sure you apply early and NOT too close to the travel dates so you have time to secure them. Yes. DSWD has recently launched its e-services website, which allows application for a DSWD Travel Clearance online. However, as of this writing, it is only available at Field Offices NCR, VII and XI. Also, a personal interview will still be required so you will have to appear at their office at some point. The online service hasn’t rolled out in our region (Region IV), so I haven’t tried this yet. If you think you have complete requirements, best practice is at least a month before the travel dates. This way, you would still have enough time to resend documents that you forget or to fix anything that goes wrong. In most cases, one day. If you have all the requirements and you come early, you will get it on the same day that you applied. It takes only a few hours. HOWEVER, if you arrive in the late afternoon (past 3pm), you will have to return the next day. You can still have it processed but you will get the clearance the next working day. At least, that’s how it is at the DSWD Field Office IV-A in Alabang. I applied here because the kids’ address are in Batangas. No. Just make sure you have all the requirements. I have applied 3 times now and the minors were never with me. Simply tell the social worker or anyone in charge. They can correct it or replace it with a new one immediately. Yes, you can find a sample Affidavit of Consent to Travel here: Sample Affidavit of Consent. Although we try to try to update this post regularly, it would still be best to visit the DSWD website or call their office to make sure that there are no changes to this list of requirements. You may visit the official DSWD website, call the numbers indicated on the list of offices above, or tweet @DSWDserves. hi your info about dswd clearance is very helpful indeed. I wonder if the written consent must authenticated by the philippine consulate here in dubai, or a plain letter will do?? What if yung minor lang yung nagaasikaso? Pwede bang siya na lang yung pumunta ng office alone? thanks for the info…how about if both parents are working abroad, is a written consent is acceptable or do i need to get a affidavit of consent from the Philippine consulate where we are currently working?? consent from the Philippine consulate where we are currently working?? whats the requirement for renewal for DSWD travel permit to minor please reply thank you ..
hi there.. thanks for the detailed info.. but what if po the father is currently in dubai and the mom is in canada.. do i need to secure consents from both? or pwed na from the father lang? should it be authenticated? How about if one of the parents just suddenly dissappeared and the child is now with only one parent? What would the written consent be like? tnx, what if father is Foreigner and kids are Filipino and they are travelling together and mother can’t come with kids, do we have to secure the permit? Hello does 18 years old still need DSWD Travel Clearance? I’m pretty confused, Other says 18 years old and below, while the other one says 18 years old below. When other than the parent applies for the travel clearance, the DSWD WILL ASK FOR AN AUTHORIZATION LETTER. Some might think it is basic, but we learned it the hard way. Hassle. Thank you for a helpful blog. My son is minor and will be travelling with my cousin to visit me here in Houston, Tx .. now i have guide on what to do. Pano kung yung mother nasa ibang bansa at ayun ung pupuntahan? Pano ung consent ng mothee need padin po ba? Hi, should i already book y ticket before applying, or not? Will the immigration still ask for an affidavit of consent from parents? Or only dswd clearance? Because the dswd will ask for an affidavit of consent when issuing the travel clearance, and we only have one copy. in dubai, or a plain letter will do?? ano po ba mauuna passport or dswd clearance? what is the requirements needed by the guardian? what should he/she bring in the office. please . answer me because i need it now. i’ve been chosen to be an ambassador of goodwill and my father was deceased and my mother is currently working in bahrain. so, my aunt is my legal guardian. because of my situation, what are the additional requirements? 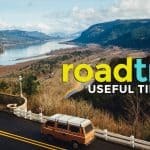 How about if there is no specific travel dates? Hi! I would like to clarify the following: a. Is the affidavit required by the DSWD the same as the sample consent you wrote here? ; and b. Isn’t there an official form of affidavit needed to be filled up? Thank you in advance! Hi! Thank you for this post. it is informative. however, it is still unclear for my situation. I have a son who is 2y.o.. me and his dad was never married.. he abandoned us while I was still pregnant.. he never acknowledged my son as his son..
how can I still get to apply for travel clearance as well as the passport? Thank you in advance!!! This was very helpful for me! Thank you so much! I just want to add some info as I have applied for a travel clearance for my 2 niece *Illegitimate*. On our case,we will be visiting the mother of my nieces who’s working abroad that’s why I was also asked to provide a copy of my sister’s resident ID, which I didn’t have but was sent to me after an hour and luckily I have still acquired the travel clearance on the same day. Hi may tanong lang po ako if kailangan pa ng travel clearance or consent letter of the father if magtatravel po siya kasama ako ung nanay lang ? Nakaapelyedo kase sa tatay pero matagal na kaming walang contact at d po kami kasal..
Pasagot naman po need ko lang..tnx. Hi, I’m Italian and my girlfriend is Filipina. we are not married but my baby has double nationality and I’v acknowledged the paternity in front of a public official and so he carries my surname. maybe its better to have 2 passports(italian and Filipino) for the baby? we should travel from the Philippines to Italy all together in the future. Do I need a DSWD clearance? Im taking my sister and her grand daughter to hongkong to visit her mother my niece for one week. My niece and her husband was separated for the last 5 years. She left for hongkong to work as a nannys. My sister my niece Mother become the guardian of her minor daughter whilst she gain a employment to hongkong. My question is do we need a father letter of concent for her to travel visiting her mother in hongkong with me and the grand mother? appreciate your help. I would like to as k if I need to get a travel clearance if I’m a mother but the problem is I’m not using my husband surname the reason why we are separate 14 years ago but not yet legal, we are planning to travel in Hongkong next year but agency not allowed my daughter the reason why we are not the same sure name but I have all legal documents that i’m her mother like NSO birth certificate, NSO marriage contract and I have my NSO birth certificate that certify the middle name of my daughter is my surname. Hi Melissa, naku, we don’t know po. It would be best to call DSWD to be absolutely sure. Hi! The DSWD site tells that you may apply at any DSWD Field office. Can you clarify on this? We are also from Batangas. But, I work in Manila. I am very close to the NCR office. I was planning to apply in NCR then I read your article saying I need to still go to far away Alabang to apply. Thanks! Hi, I just wanna know since the permit has specific location and purpose of travel, and we will use it multiple times like different country, wala na magiging problema sa immigration? It would be my son’s first travel abroad without me and my wife. He will travel with my sister. My son is only 3 yrs old. Can you confirm if we only need to get DSWD clearance? Can’t seem to find any information from DFA website. Thanks! Hi Joseph! I can only speak based on experience, and over the past 6 years that I’m taking my nephew and niece abroad (sometimes as tourists, sometimes to visit parents), they only ask for the DSWD clearance. Not sure if they ask for more in other circumstances. booking ticket of minor.Payo ko lang po na agahan ang pag apply para may time asikasuhin ang mga additional requirements. Sana maka tulong sa inyo at di magahol sa oras, sa case ko po huwebes po ako nag apply sa martes na po ang alis, kung di ko po nakuha ang mga documents ng maaga malamang naiwan na kme ng biyahe, nakuha ko naman po kinabukasan yung clearance. Thanks for sharing, Banjo! Because of your update, we’re also updating the post to highlight that there may require additional documents. Thank you! Ang alam ko po ay oo, pero di ko po sure. Pwede bang kunan ng passport yong minor kahit wala pang date kung kailan mag travel abroad? Required ba talagang kunan ng DSWD clearance kahit wala pang date? Hindi ko po sure. Best to contact na lang po the DSWD office nearest you to be sure sure. Yung numbers po, nasa taas. Kung magtravel ako abroad alone with my son, but my wife is living in another country other than the country we are travelling to, do I need to get a travel clearance? As far as I know, no need because you’re his dad. No need if the kid is traveling with either parent. No need for DSWD Clearance or additional docs basta kasama parents. How sure po na may consent ang mother ni minor kung xa at kanyang father lang ang nagbiyahe? Is the minor not at risk if he travels po with either parent without travel clearance? Ang alam ko, if the parents are married and the child is legitimate, no need for a travel clearance if traveling with either parent. That’s what’s on their website and that’s what they told me when I asked. If illegitimate yung child and traveling with father, dun kailangan ng travel clearance. Best to call the field office to be sure. Hi, can I ask the full details on how and where can I get the Affidavit of Support and Consent? Hi! What if the child is illegitimate? The Father is single and the mother is married. Can you just get one CENOMAR or we also need the Marriage contract of the mother? Thanks! Same question. Is there anyone who can answer for us, please. Thank you. Call DSWD Field Office na may sakop sa area nyo. The numbers are in the post. Hi, ask ko lng po….kapag po ba nagtravel abroad(tourist) mother kasama ang anak na 6yrs old, ano po ung mga requirement(addditional requirement for minor)..
Hi Rosalyn, sa experience namin, di naman na kami hiningan nung pabalik. Pano po kayo nakakuha nung Invitation Letter? Ask the inviting party to write a letter or write it yourself tapos pa-pirmahan sa nag-invite. magkaiba pa po ba yung Affidavit Of Consent And Support sa Written Consent and pano po yun sa written Consent, tatay ko lang po yung nandito ang yung mother ko po nasa ibang bansa. If may Affidavit of Consent & Support ka na, di mo na kailangan ng isa pang written consent. My husband and me will be travelling to USA this June 2018 to accompany our 14 yr old granddaughter who is a US citizen and a holder of US visa. What documents do we need to prepare? Do we still need parental consent from the father based in USA and from the mother based here in the Philippines. Hi Mercy. I don’t know the rules for US citizens, but I don’t think the DSWD Clearance rule applies to them. One of my nephews has recently been granted a Japan dependent visa and he’s now exempted from securing a DSWD Clearance because of it. Something similar might apply to you. It’s best to contact DSWD to be sure. What if my brother is in abroad, separated with his wife. Wife is here in the Philippines but not capable financially. Can i file this earlier while he is here? Yes, you can apply early. 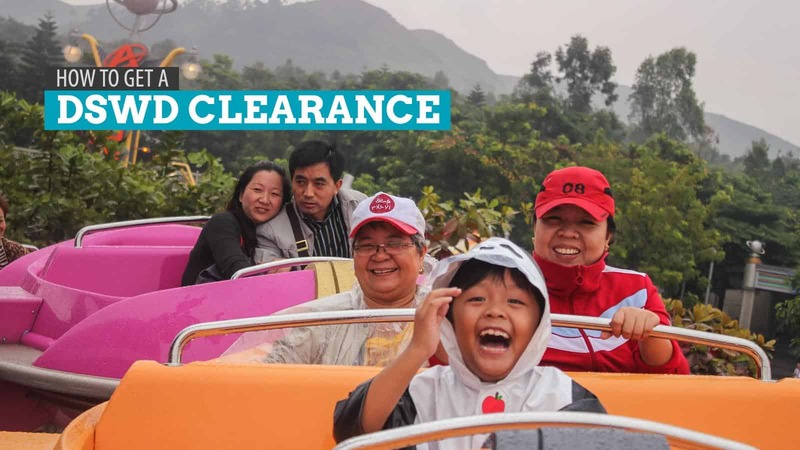 The clearance is valid for 1 year or 2 years. My daughter was issued a travel clearance for her to join a study tour in China this April and May 2018. The travel clearance is valid for 1 year. Can I use this same clearance for her to travel to Thailand with my secretary this June 2018? Our arrival from a trip to New Zealand will overlap with our departure for Bangkok, so my wife and I have decided to get another flight in the afternoon via another airline and meet up with our daughter in the hotel in Bangkok. Hi! I’m planning to travel with my 14 year old nephew to Tokyo later this year or early next year. The thing is, he is a holder of two citizenships: USA and Philippines. We plan to have him use his USA passport to get him through Philippine and Japanese immigration since they don’t require US citizens a Japan Visa to enter Japan. It’s less paperwork for us too. My concern is I am a Philippine passport holder and I will be the one accompanying him to Tokyo. How will we be able to go through PH immigration? Do we need a DSWD Travel Clearance? One of the requirements for the travel clearance is a birth certificate. Do we need to show his US birth certificate since he was born there? I’m sorry for the questions, I just haven’t found anything online regarding this. Thanks in advance! Hi Edlaine, it’s a pretty specific/unusual case. It’s best to just call the DSWD or Bureau of Immigration to be completely sure. Hi, nabasa ko po sa taas na dswd clearance po yung hinahanap dito sa pinas na immigration. ask ko lang po na how about in Japan? Meron po ba hinanap yung japan immigration na affidavit or dswd clearance? Thank you po. Hi Von, in my experience, wala silang hinahanap sa Japan. Hello there! I have read your article recently. I have question po. Once available na po ang mga supporting documents (Passport, Affidavit of support and Consent, DSWD Clearance, ITR, etc) technically, pwede na sya pumasa sa immigration, right? Do you have any ideas po regarding to the possible questions Immigration officer will ask to the Minor Traveller? Hi Yukio. Yep, basta complete na, pwede na lumagpas sa immigration. Yung questions sa minors, usually, sino kasama? Anong gagawin dun? Kailan balik? Yun lang yung sa experience ko. pwede po ba kahit hindi kau mag ka maganak?? Hi. Ask ko lang, paano po kung nanay ko wala pang passport, sabay na kasi sila kukuha ng passport ng baby ko. Need pa ba muna hintayin marelease ang passport bago mag apply ng travel clearance? Thank you in advance. Hmmm. Part of the requirements is the companion’s passport copy. But for minors, the DSWD clearance is required to apply for a passport. Ideally, dapat mauna ang companion na magka-passport. And then tsaka yung minor. At least, sa surface, that’s how it’s supposed to go. But i’m not sure if the DSWD office can make an exception or kung gaano sila kalenient. Best to call yung DSWD Office kung saan ka mag-apply kung okay lang na walang passport copy yung companion. Hi, hope you can help me. My niece (a minor) will be travelling with us abroad, and she haven’t applied yet for a passport. Sa DFA application form, may field doon na “TRAVELLING COMPANION’S NAME,” pwede ba na ‘yong father ng niece ko ang ilagay muna doon or should it be my name since ako ang kasama niya pag-travel abroad? We’re thinking kasi na passport ‘to and once lang naman siya sasama with me and might travel soon with her own father and mother. So ok lang ba na father’s name ang nasa TRAVELLING COMPANION’s NAME? Thanks in advance! hi, im from batangas po, and punta po kami ng nephew ko sa dubai sa december, pupuntahan po namin ang mama nya, na kapatid ko naman, tapos andto ung papa nya sa pinas, tanong ko lng po kung paano po ung consent ng mama nya and signature, need po ba ipa courrier? thank you po. Hi Cheene, ‘yung sa amin pina-courier ko yung docs na may signature ng sister ko. Sir, ano papo ung need from his mom bukod sa consent? Pa-check na lang po sa taas yung list of requirements. hi.. can a minor travel together even though they are not relatives?? Hi Perillo, ang alam ko pwede basta may Affidavit of Consent. Pero tawag ka pa rin sa DSWD to be sure. Lahat naman ay may chance na ma-offload. Di naman mawawala yung chance. But it looks like you’ve done the preps that you can do, so just be confident lang with your answers. Hi. Im travelling to HK with my nephew. In your experience, do they still ask for the affidavit of consent sa immigration both in Manila and Hongkong? Or do they only look for the DSWD clearance? We ended up booking a hotel thats different from the one in the affidavit kasi. Thanks! Hi MT. I always carry an affidavit of consent with me when passing through Immigration. However, I had never been asked for it by any officer. They would just ask for a DSWD Clearance. Thank you! The airline ended up rebooking our flight for some reason. So now, the dates have changed too. Im thinking if I need a new travel clearance or just a fresh affidavit with the new info. I’ll call DSWD to confirm. Thank you! Hi. I called DSWD, they said I dont need a new clearance as long as the new dates are within the validity period of the clearance issued. If the companion or country is changing, thats when we need a new clearance. Hello, Pwede pu ba ipascan ung affidavit of consent na may red ribbon para maprint sa Pinas to bring sa DSWD office? Di ko po alam. Call na lang po the field office kung saan kayo mag-aapply. Hi, this is very informative. I just want to know if my children still need to secure a travel clearance if they’re coming back to Manila. I will be with them on their flight MNL-SIN (so I think they don’t need a travel clearance anymore)but I don’t know if my flight will be the same going back to MNL? I have my cousin who will be with them when they go back to MNL…. Do I still need to secure a travel clearance for them? Thank u.
Hi Rai, based on my experience, PH immigration didn’t check for DSWD clearance for returning residents. Japan and HK Immigration didn’t either. I’m not sure about SG Immigration, but I don’t think they would check. I think it’s only when passing through PH Immigration when exiting the country. So I think you should be fine. Can my wife do all the application and procedure to let our daughter travel alone to visit me here abroad? Is the unaccompanied minor certificate really necessary as a requirement to apply for the travel clearance. based on PAL’s website https://www.philippineairlines.com/en/ph/Home/TravelInformation/BeforeYouFly/SpecialHandling/UnaccompaniedMinor ,and to their staff I spoke with, only 8-11 years old are eligible for UM certificate, my daughter’s 13yrs old so she’ll not be given. DSWD insisted that they require one. Father UNMARRIED AND Mother is married. Father is an OFW while Mother is in Pinas with own family. Minor is studying. Mother waives her responsibility to the processing of needed docs. 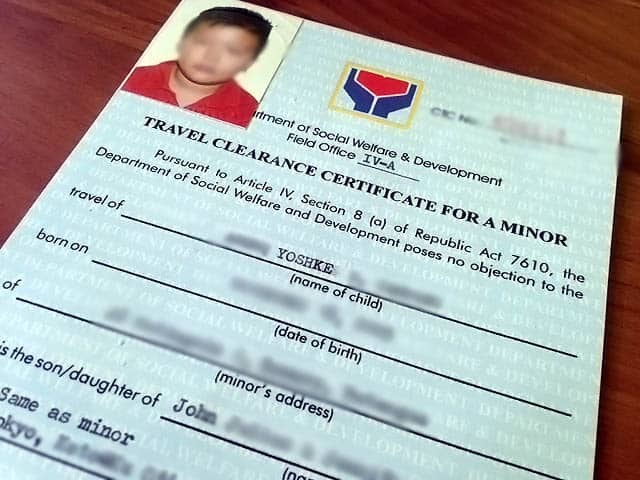 IS PERSONAL APPEARANCE (OF MINOR AND COMPANION) STILL REQUIRED TO GET DSWD CLEARANCE? Hi Pax, best to call DSWD pag ganitong specific case. HI, just want to ask paano ang case kapag ang bata na kasama ko magtravel ay nawala nalang bigla ang kanyang Father, and ang mother nya ay nasa ibang bansa (tho i have a contact sa kanya). Paano po yung COnsent letter? Hi Nico, pag ganyan pong specific na case, di ko na po alam. Best to contact na lang po the DSWD Field Office kung saan kayo mag-aapply para sigurado. Hi, ask ko lang po kasi yung ate ko nasa UAE po, then my plan po kami ng cousin ko mgtravel sa Malaysia kasama ung nephew ko (son ng ate ko, gift nya sa anak nya) , actually nka book n kami ng flight, kya need ko daw travel clearance from DSWD for my nephew, ano po kya need ng ate ko na letter para proof daw na in-authorized nya ako kumuha ng travel clearance for my nephew? since ikaw din yung kasama nya mag-travel, need mo ng Affidavit of Support. Notarized if pwede. Since nasa abroad sya, I think may kelangan syang gawin sa embassy. Di ko lang alam ang details nun. Tapos gawa na rin sya ng Authorization letter allowing you to apply for her son. Di ko lang ganun kakabisado yung details pag ganyan, so best to call the DSWD Field Office kung saan ka mag-aapply. I would like to clarify if need ba ng visa ng minor and the companions bago mag apply ng dswd clearance? Hi Jeca, may existing passport na ba ung minor or wala pa? Hi! I’d like to ask if I’m applying for an illegitimate child, would there be a need for the consent of the father? Or the Certificate of Non-Marriage will suffice? Thank you! Hi Joanne, sa website nila last time I checked, parang wala naman sa list ung consent ng father kahit illegitimate. Tawag ka na lang sa DSWD field office to be sure. Mabuhay kayo! !buti nalang may mga ganitong tao na gumagawa ng mga ganitong post.salamat ng marami,marami talaga kayong natutulungan. Salamat din po sa pagbisita, Mang Kiko! hi. just want to inquire. Hi Jen, I’m not sure. Best to just contact the DSWD Field Office that covers your area to be sure. You’ll find the phone numbers in the post above. Hi! Just want to ask. I am travelling with my pamangkin also. Pano po kung may existing passport na yung minor and nun kumuha ng passport sya yung requirements na pinasa is under the category travel with parents. Kailangan ba baguhin ulit yung passport kasi not travelling with parents na ngaun? ANg alam ko po, di kailangan na baguhin ung passport kung di naman pa pa-expire. Pero itawag nyo na lang sa DSWD Field Office para sure. Hindi pa nman po expired kakakuha lang last year. Pero po yung pamangkin nyo nun may passport na sila nun? Or wala pa tapos kumuha muna na kayo travel clearance bago passport? Thanks po. Nung first time na nag-apply kami, DWSD Clearance muna bago passport. Tapos nung 2nd time, since may passport na, clearance na agad. We didn’t have to get a new or renew the passport. Hi! The DSWD told me to get certifcate from the airline, how can i get one? Hi Pamela, it’s for a minor traveling alone, right? Contact the airline where you booked the ticket. Hi. Just wanted to know regarding this requirement ( A photocopy of the minor’s birth certificate (SECPA). Hi Moto, photocopy of the birth certificate is okay, but as far as I know, it should be a photocopy of a PSA-issued birth cert. I submitted only the photocopy of a secpa PSA copy the last time I applied. I am not familiar with the process for illegitimate minor. Best to call the DSWD Field Office that will process your application before your visit to be sure. Hi moto, yung experience ko sa Alabang office pag nag-apply ako, pinakapakita ko ung original, tapos ina-ask nila ako kung pede nilang ikeep yun. Once sabi ko, gagamitin ko pa (for Immigration), humingi na lang sila photocopy. Di ko alam kung ganun talaga ang protocol sa lahat ng offices or nagkataon lang. Hi! How to get certification from the airlines? Hi, thank you for this very helpful and informative post. I appreciate your kindness for sharing this. By the way, if I will apply at DSWD Alabang and targetting the 8am to 10am slot, what time should I be in their office? Should I be there very early, around 6am or earlier? Is there a long queue? Hi Michelle, in my experience, konti lang ang tao kapag before 9am. It opens at 8. Thank you very much :) God bless you! I will be travelling with my niece international would you know if it’s necessary to secure both signatures of mother and father? Do you think it’s alright for me to secure just the mother’s since the parents are not in good terms? I am travelling to South Korea from Dubai this month and my 3 daughters are travelling from Manila. We are just meeting at INC airport. My eldest is 19 years while other 2 are still minor, 15 and 13 years. Can my eldest be considered as their legal guardian? My other 2 daughters still need to obtain the travel clearance? If yes, is the affidavit of support and consent can be done and notarized here in Dubai? Kailangan ba na original ang documents from me para maissuehan sila ng travel clearance. Please respond, thank you. Hi Melai, your other 2 daughters still need to obtain a travel clearance, unless your eldest is the legal guardian, meaning your eldest has the documents (e.g. certificate) proving guardianship. As far as I know, if the Affidavit of Consent and Support is executed abroad, it has to be accredited at the embassy where they will affix a gold seal and red ribbon to it. Hello po, ask ko lang po sana if may idea po kayo if need pa kumuha ng DSWD clearance let say po kasabay ko naman anak ko papunta ng SG, bale susunduin ko siya kasama pamilya ko, then pag-uwi sina Mama na lang kasama niya hindi ko na hatid ng pinas. Or if ano po experience nyo sa check in from other country nung pauwi na, hinahanap pa ba nila ung clearance ng DSWD? Salamat po. Hi Jazel, if kasabay po kayo pa-exit, no need na for DSWD Clearance. Pag pabalik na, sa experience ko pag nagtatravel with my pamangkins tapos walang kasamang parents, di naman chinecheck ung DSWD clearance. Di ko alam if ganun din with others pero un ang experience ko. What if it is an aunt traveling with her two nieces just within the Philippines? Flight from Cebu to Clark? Still need clearance? Thanks! Hi CJ, no po. Pag abroad lang po yung clearance. ask q lng po if need q pa po ba ng dswd for my 2kids single parent aq ung bunso q po is 5 nka appelyido skin ung panganay q is 12 sa father nmn nya nka appelyido.. flight namin tatlo sa Friday going to singapore do i still need the permit to travel nd affidavit? If kasama kayo magtravel, no need.